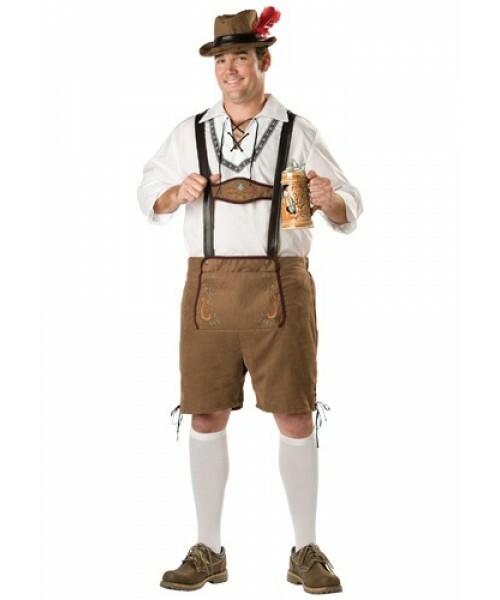 Celebrate your favorite time of year--Oktoberfest!--with this Plus Oktoberfest Guy Costume. This plus size costume comes in sizes 2X and 3X. Did you know that ledernhosen were originally worn for hard physical work? They become unfitting for many modern city-dwellers in the 19th century. I don't know about you, but I consider drinking lots of beer to be hard work too ... You have to wait in line, decide which brew, go back and get another brew. There's a lot more involvement than expected. 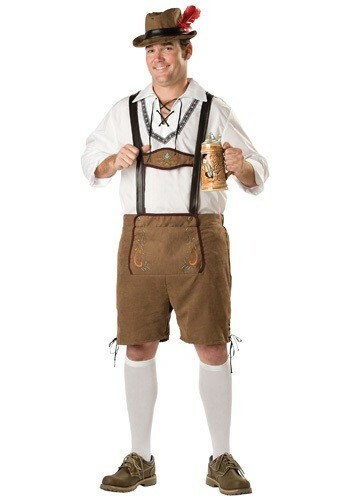 Join in in this hard-working tradition with the Plus Oktoberfest Guy Costume.